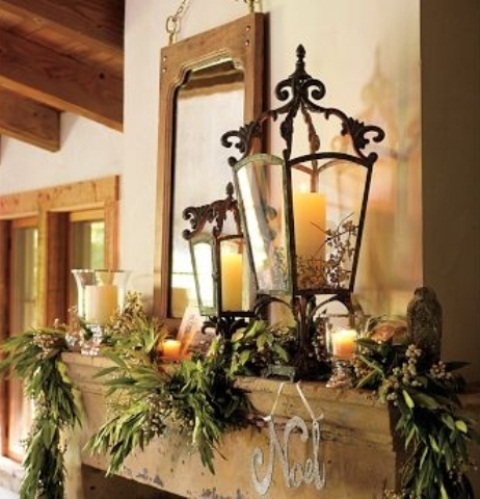 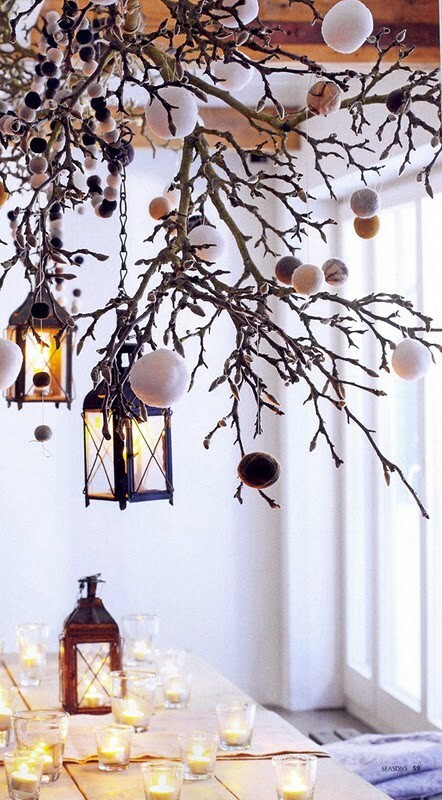 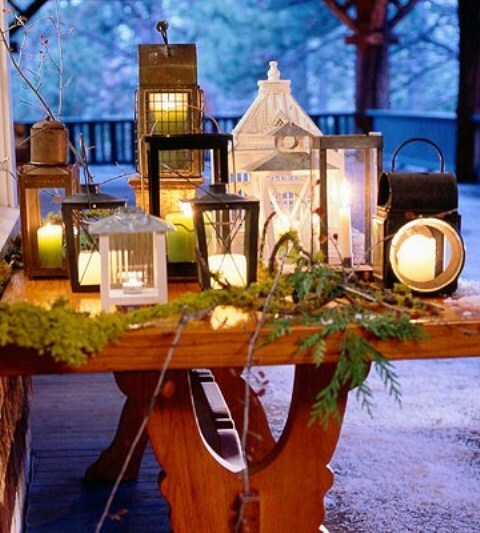 Hang some rustic lanterns on a tree branch and you've got yourself beautiful fall-winter piece of decor. 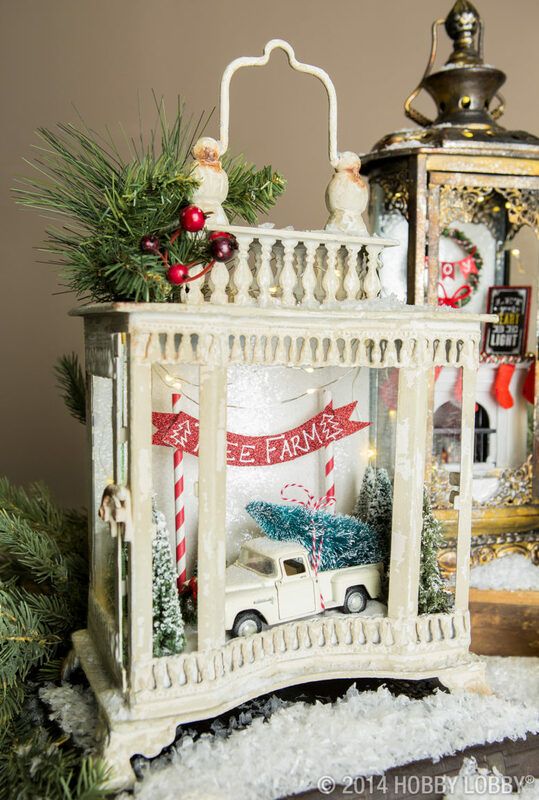 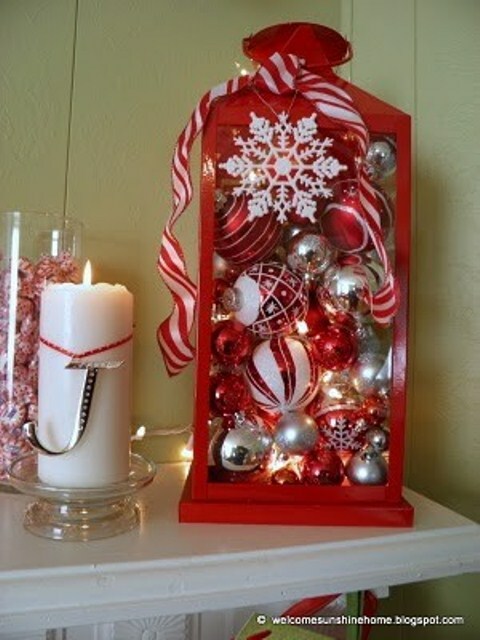 Add some ornaments to it to make it Christmas ready. 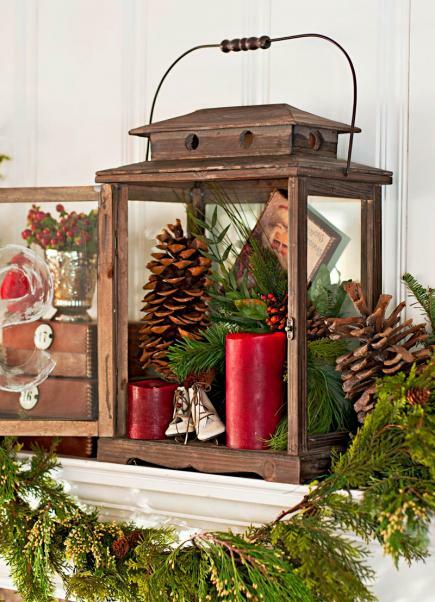 Even though it'd require some carving skills and lots of tools but lanterns made of tree trunk pieces would become the best part of your holiday decor. 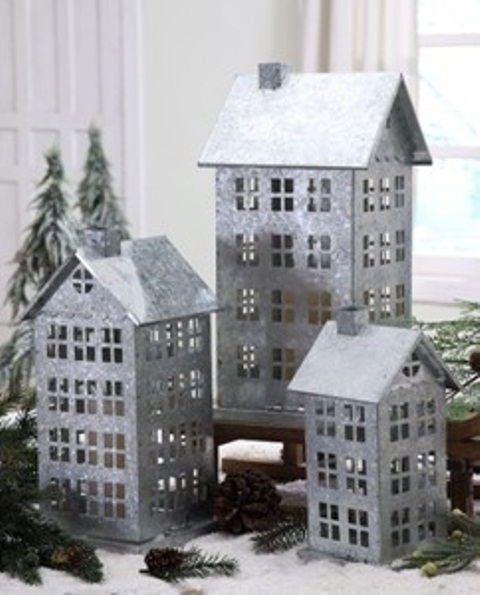 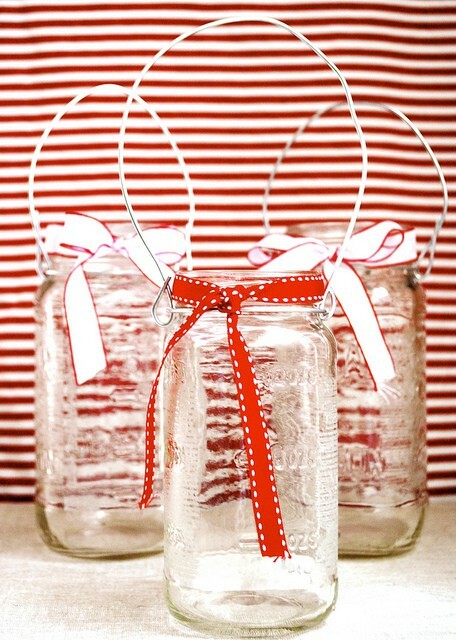 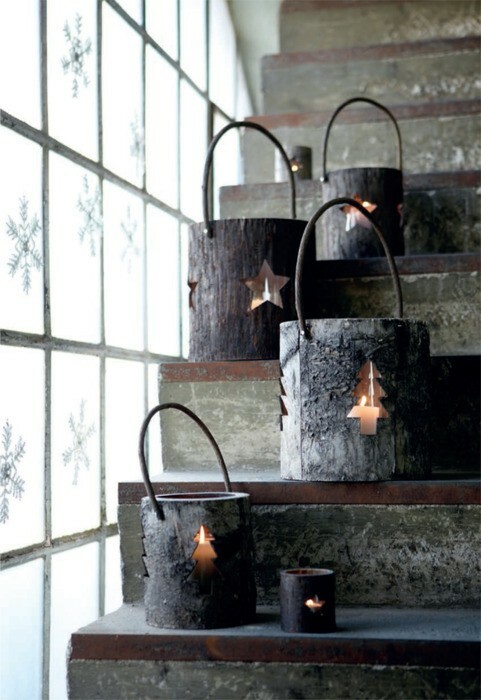 They are perfect to add a rustic and cozy touch to any interior. 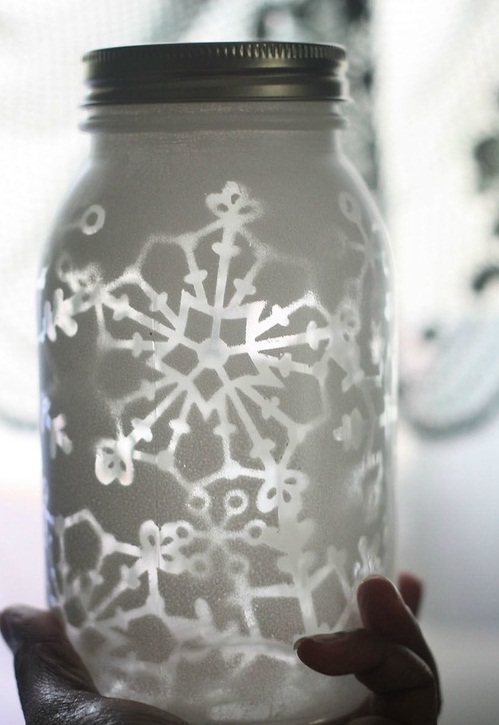 Don't forget to add some paper snowflakes on the windows. 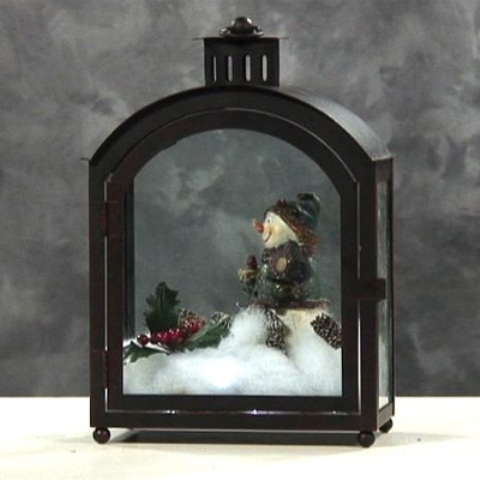 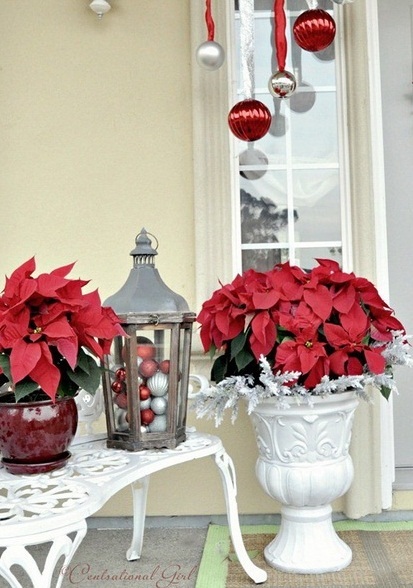 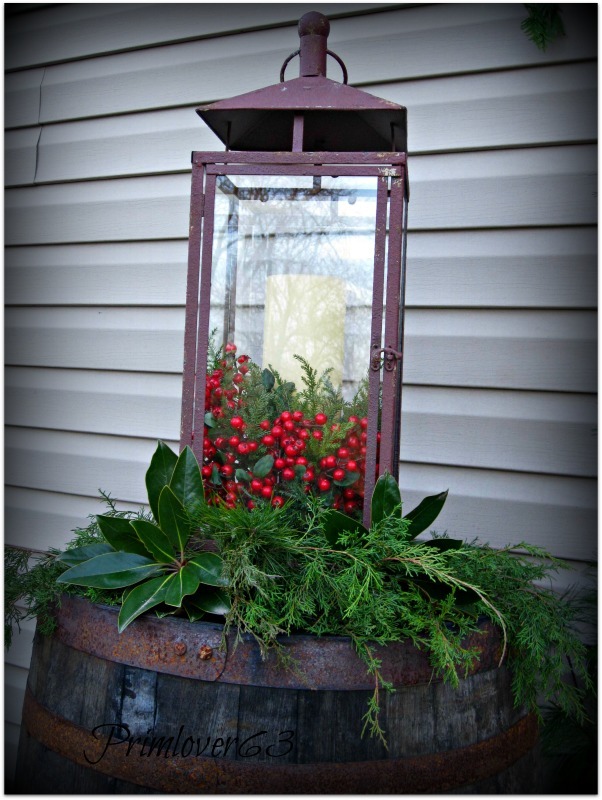 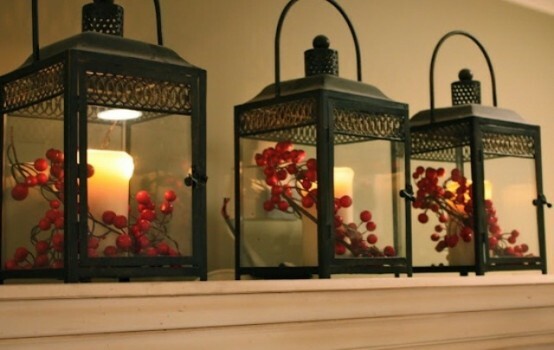 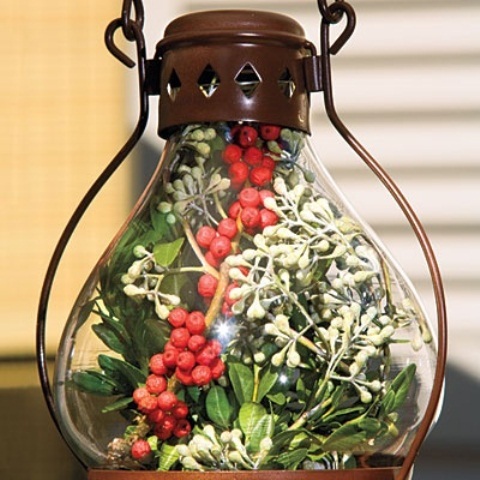 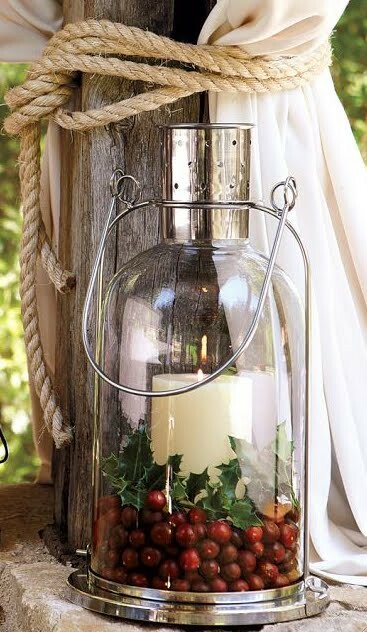 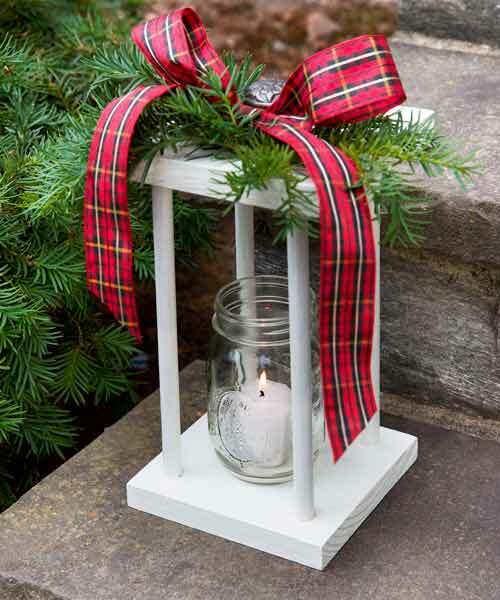 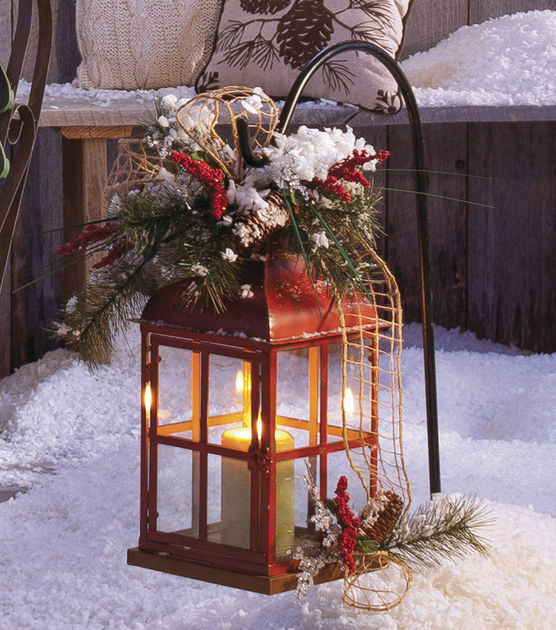 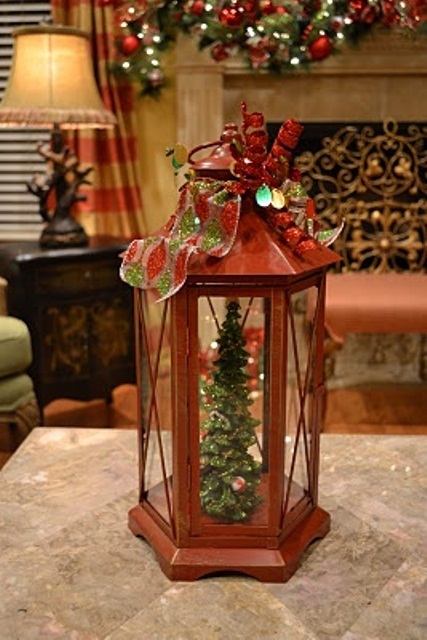 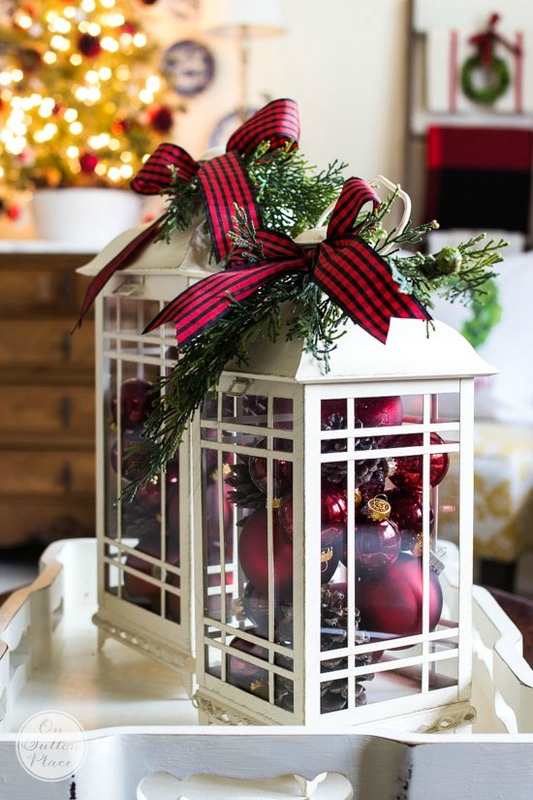 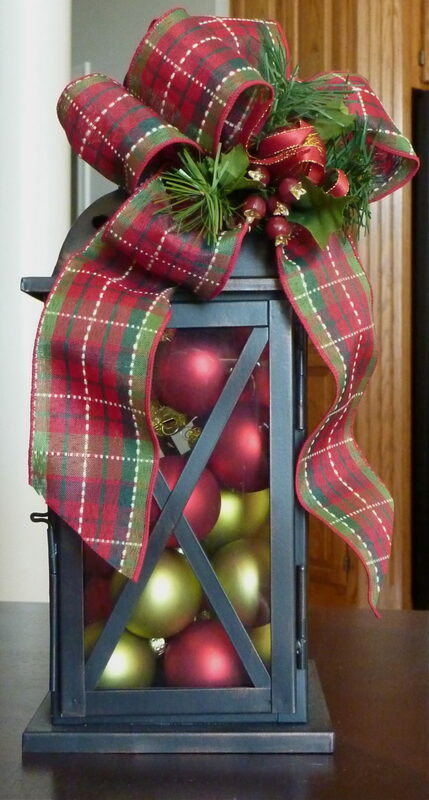 Cranberries is a perfect addition to any lanterns you use for your holiday decor. 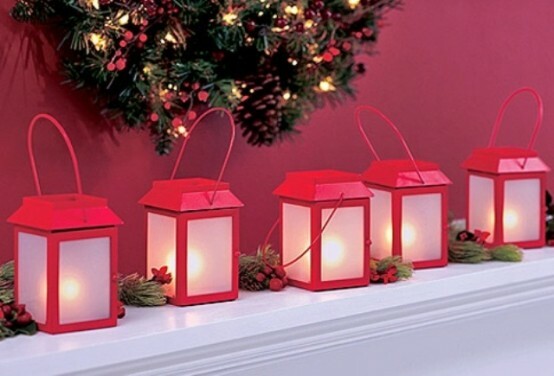 White lanterns looks extremely great with all these reds and greens. 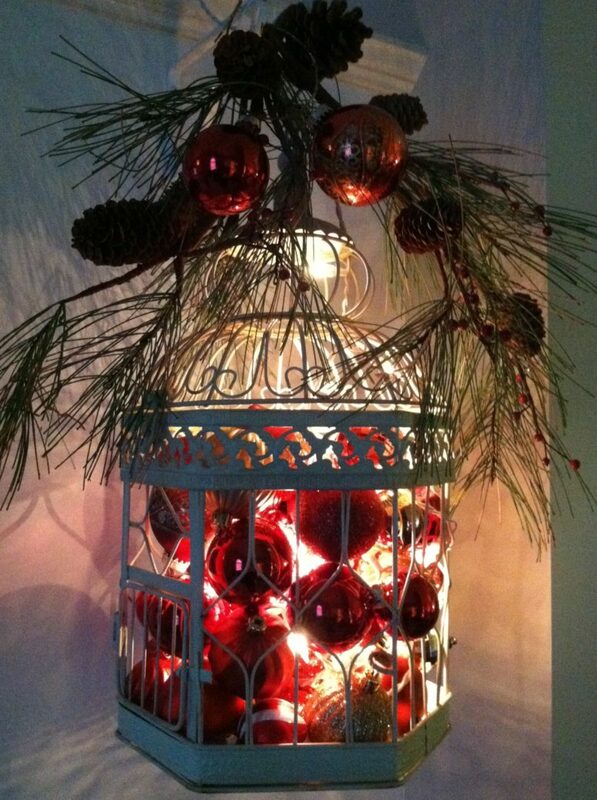 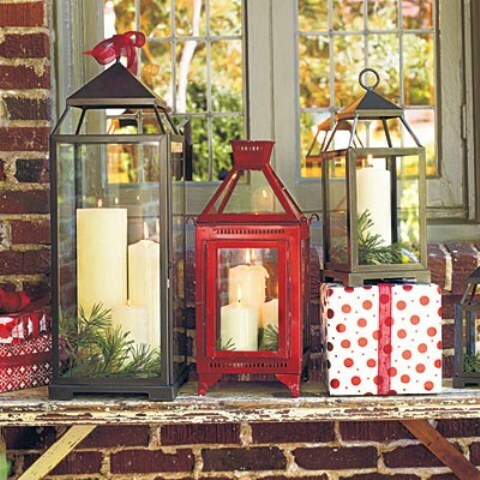 If you lanterns are big enough, stuff them with Christmas ornaments! 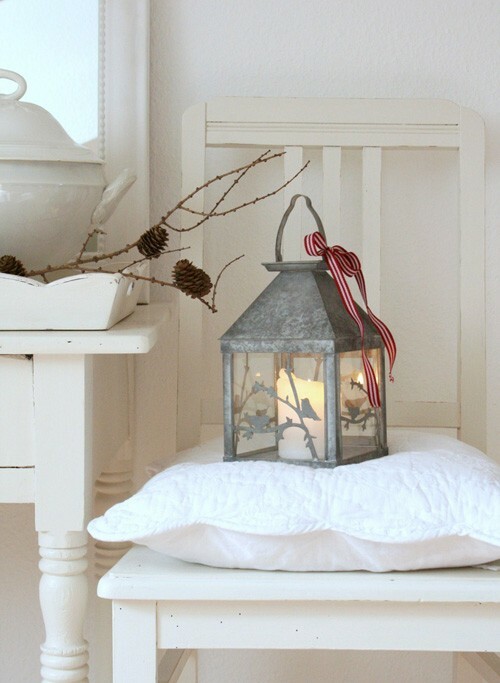 There are many cool ways to make DIY winter paper lanterns. 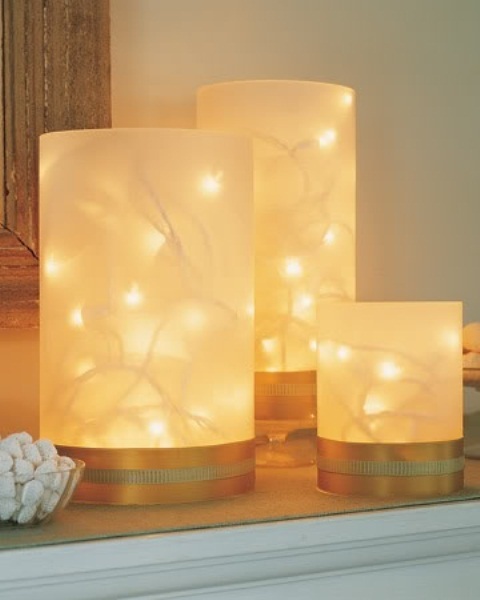 Just make sure to use LED candles instead of traditional ones. 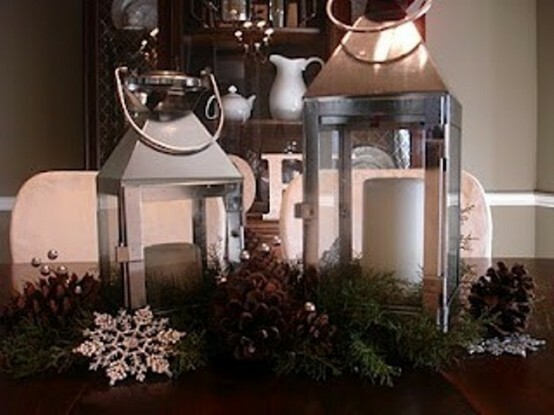 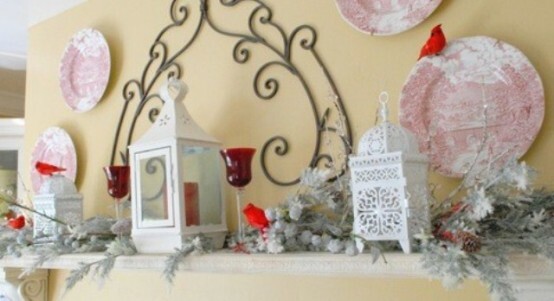 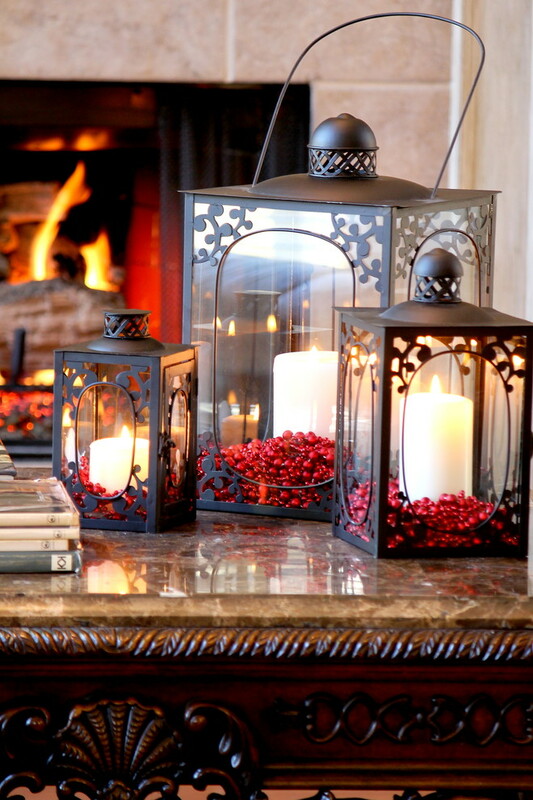 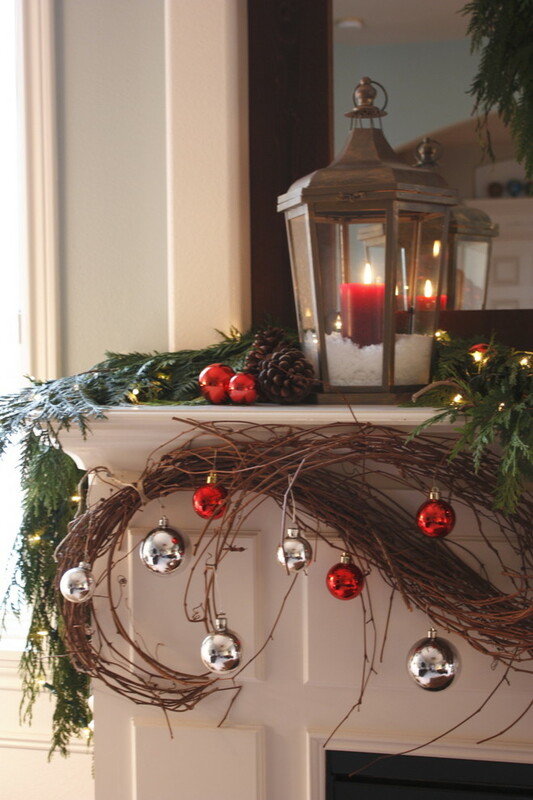 Even very simple luminaries looks great when there are several of them arranged on a mantel. 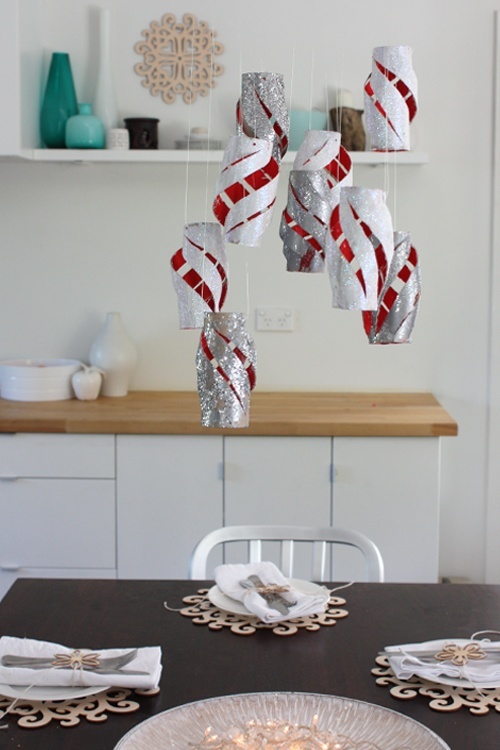 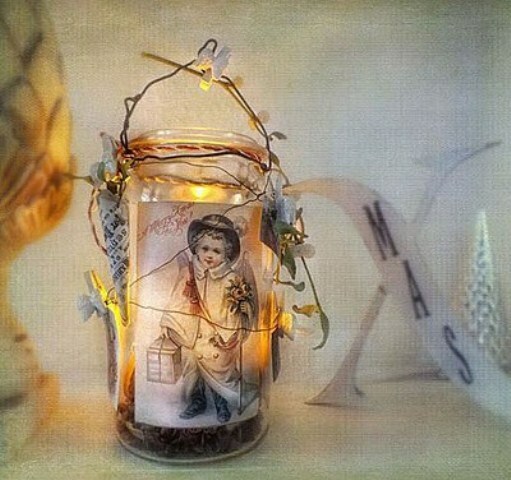 There are lots of ways to make lanterns for Christmas. 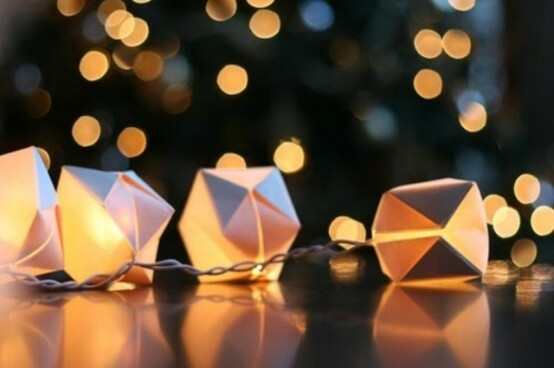 The most simple one is simply to cut them from paper. 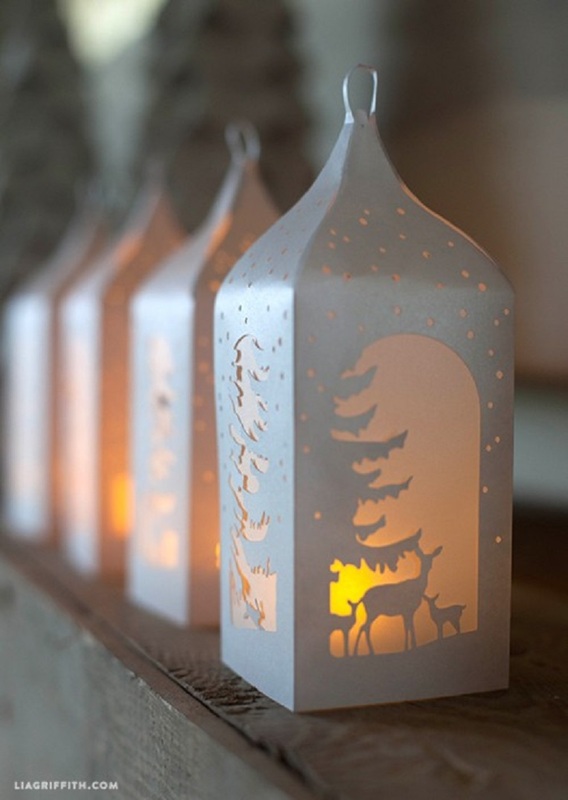 Although you should choose the paper in seasonal colors! 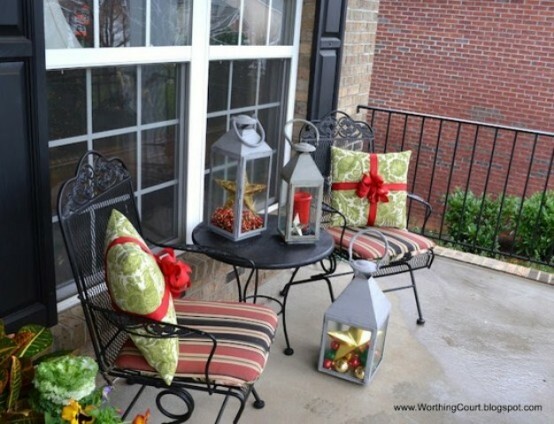 Do you have a side table on your porch? 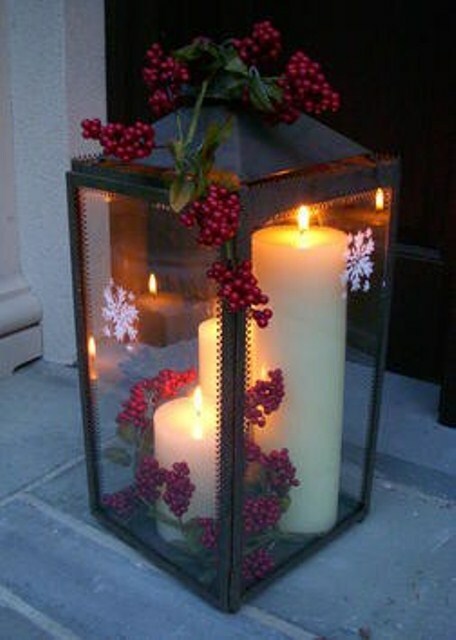 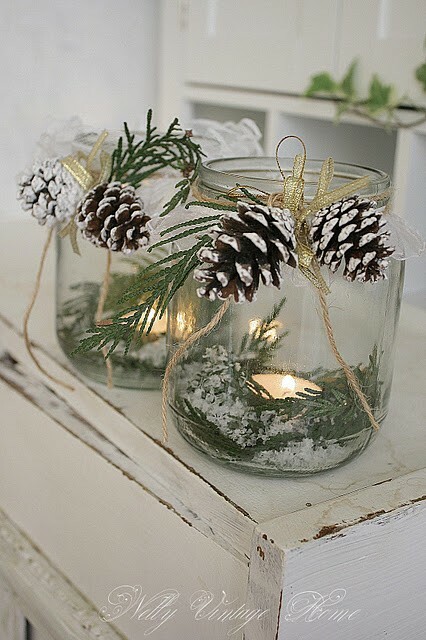 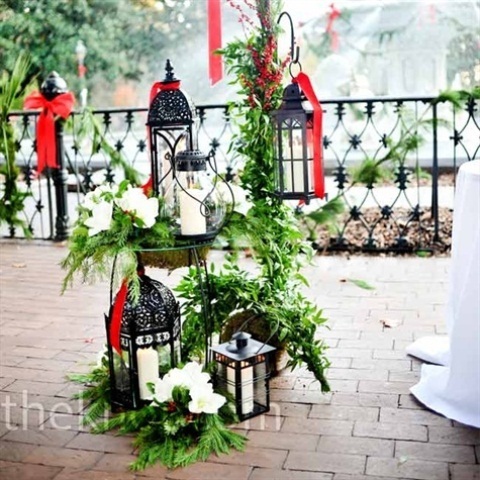 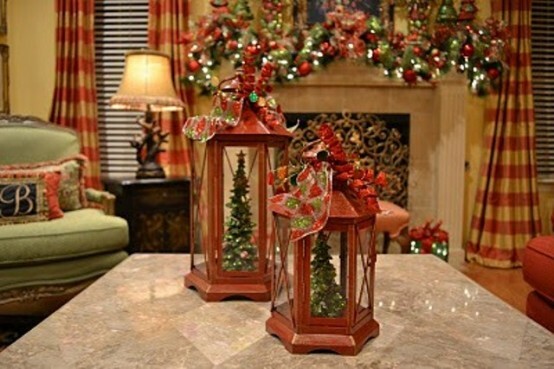 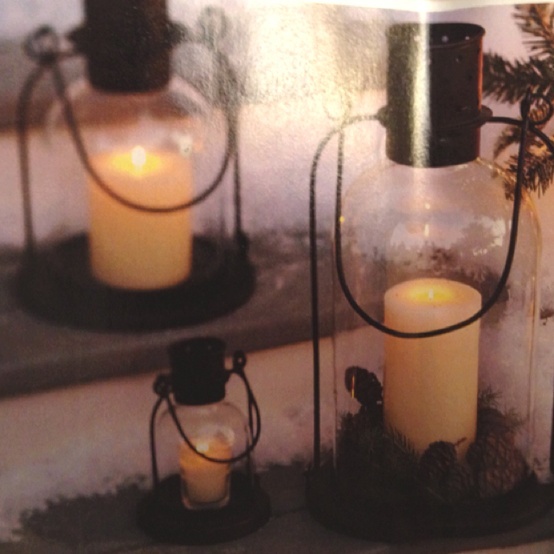 If so, then an arrangement that consists of candle lanterns, evergreen and presents would be perfect for it. 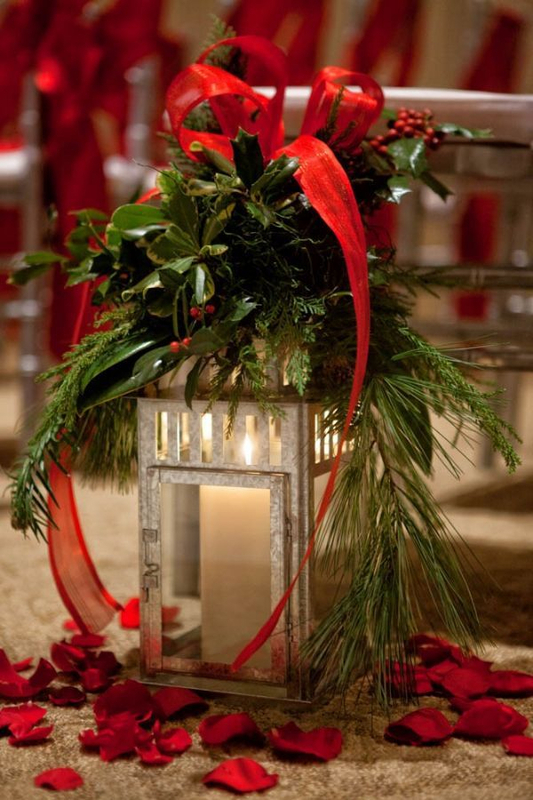 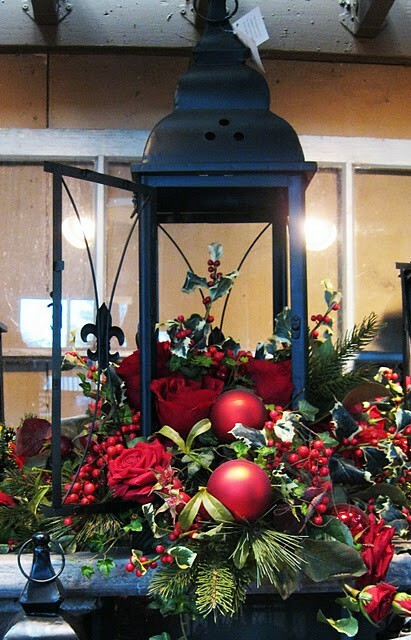 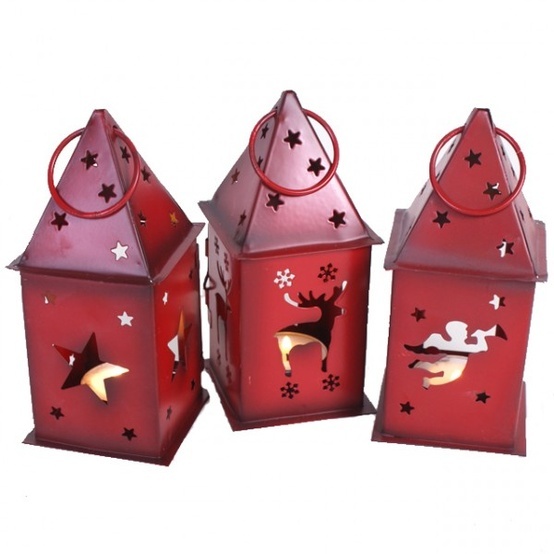 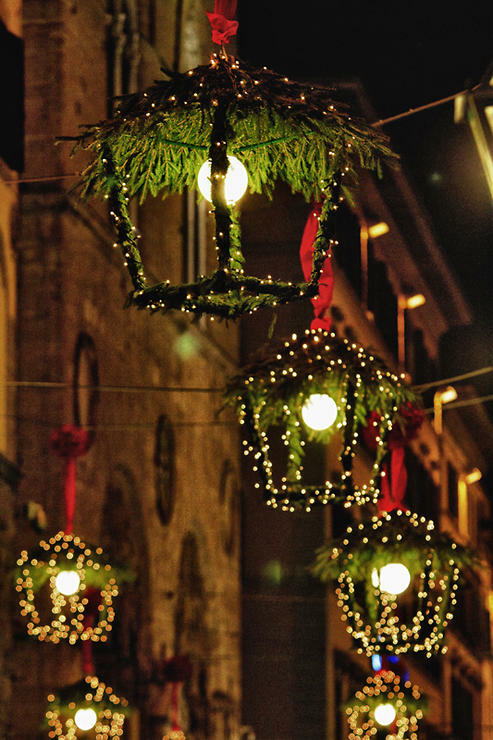 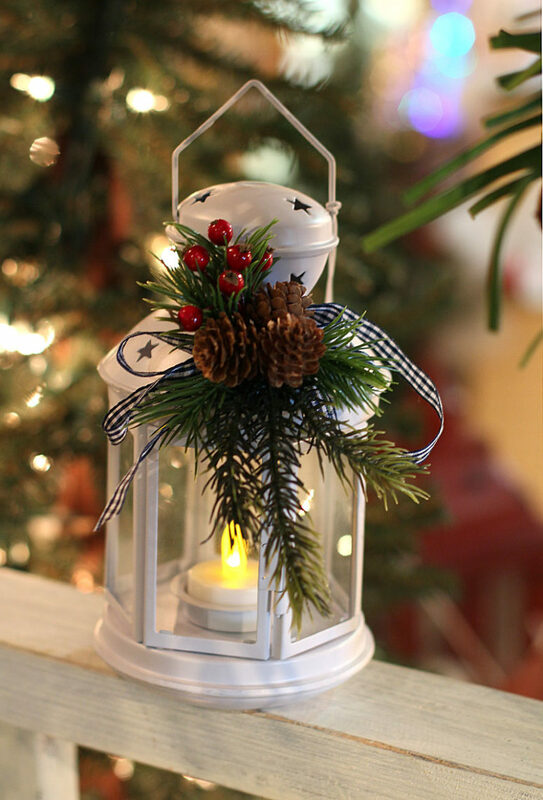 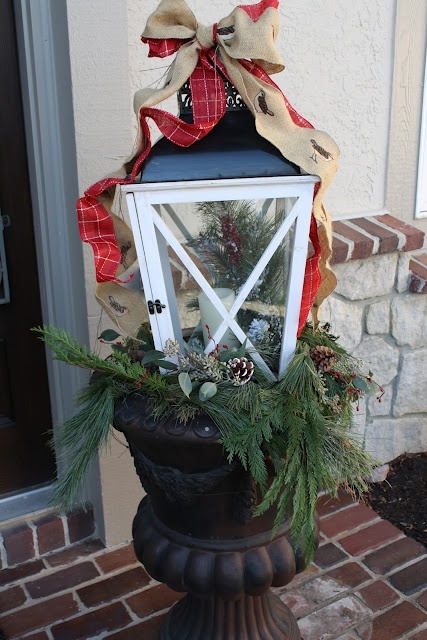 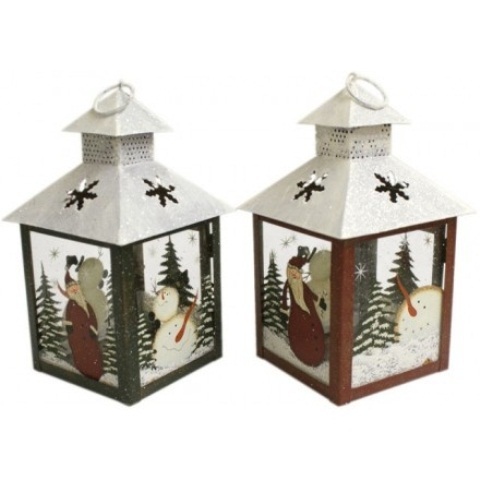 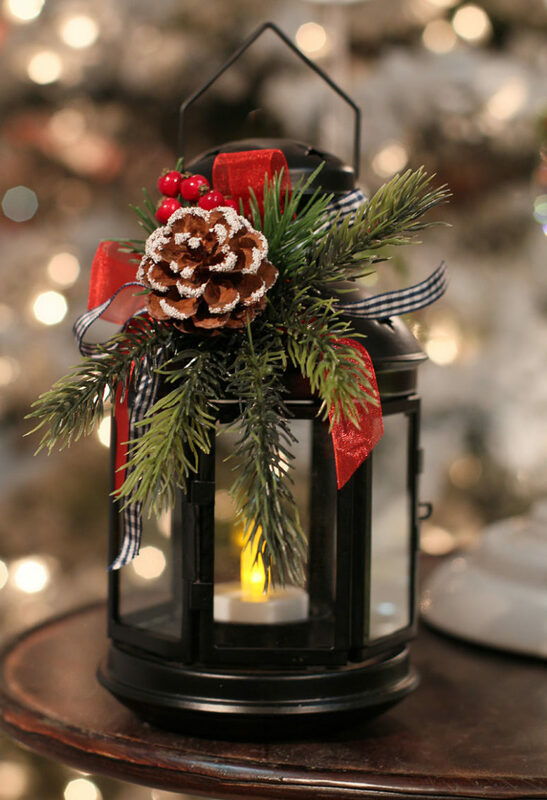 Add a few Christmas-inspired flourishes to your lanterns to make them look more seasonal. 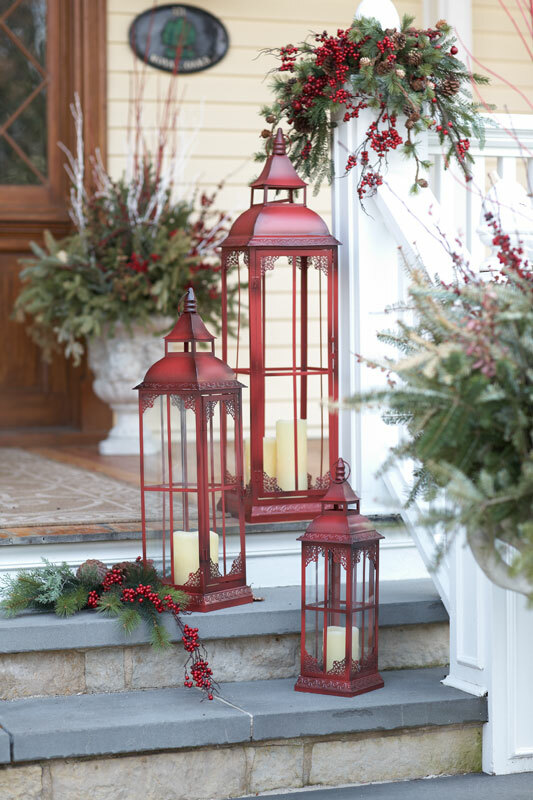 A bunch of glowing lanterns on front steps is a great way to welcome your guests for a festive dinner. 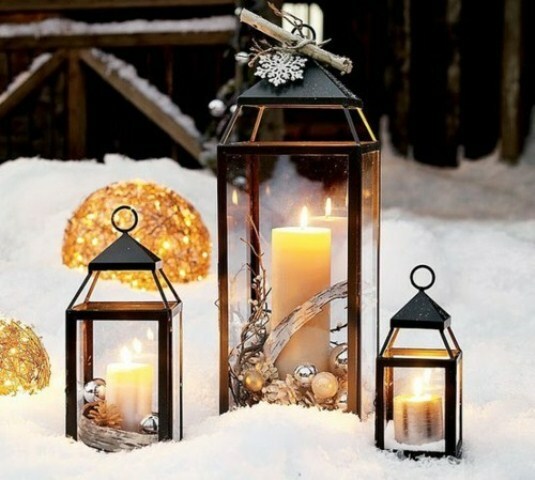 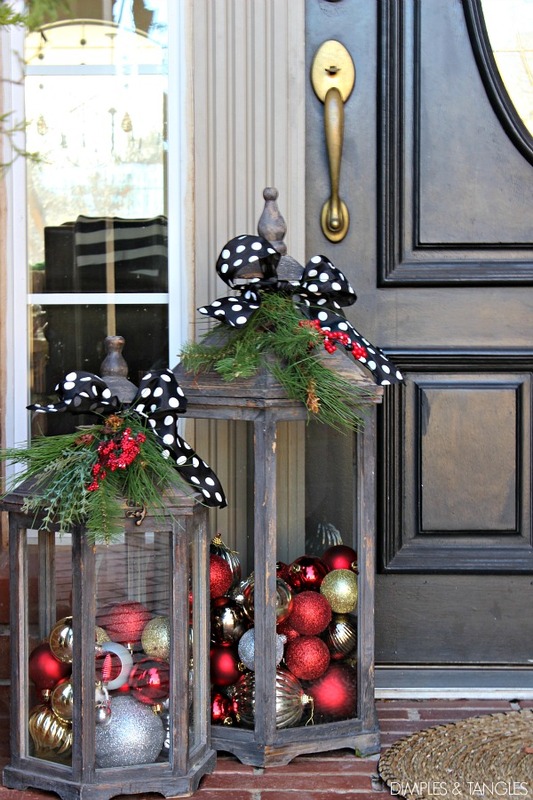 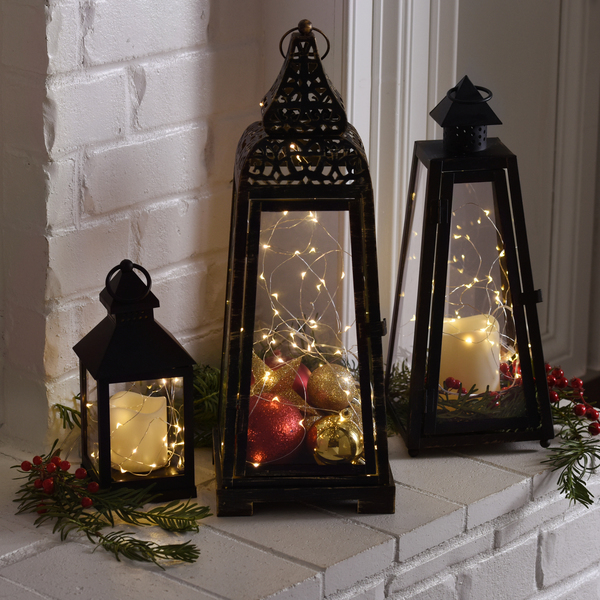 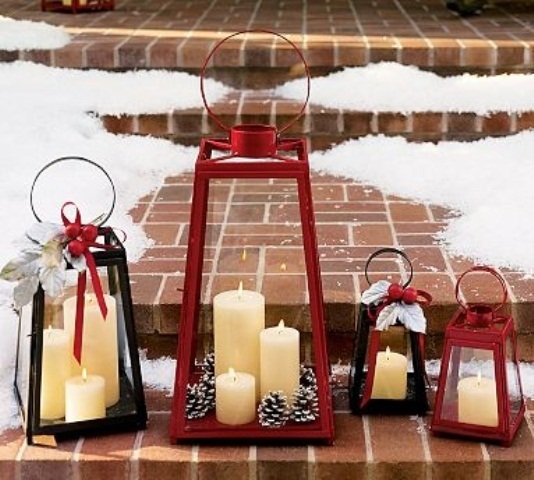 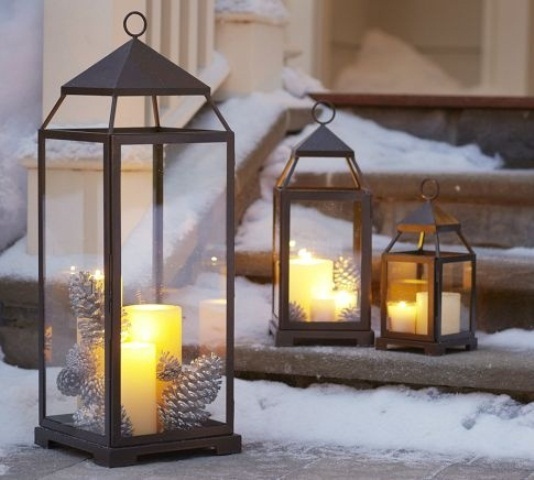 Arrange a grouping of festive lanterns at your front steps is a cool last minute holiday decoration idea. 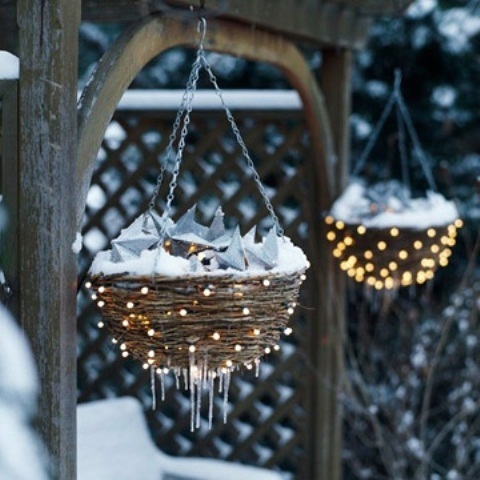 Hanging planter baskets with Christmas lights are perfect things to dress up your garden for holidays. 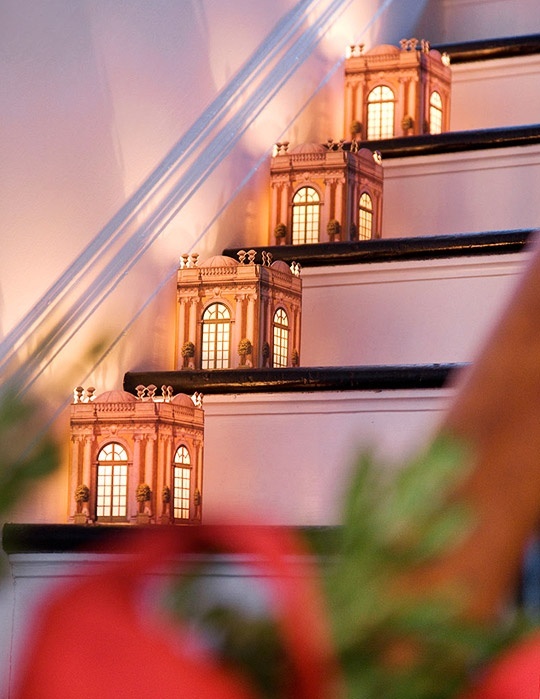 Paper lanterns that resemble architectural miracles are perfect to put on your staircase for holidays. 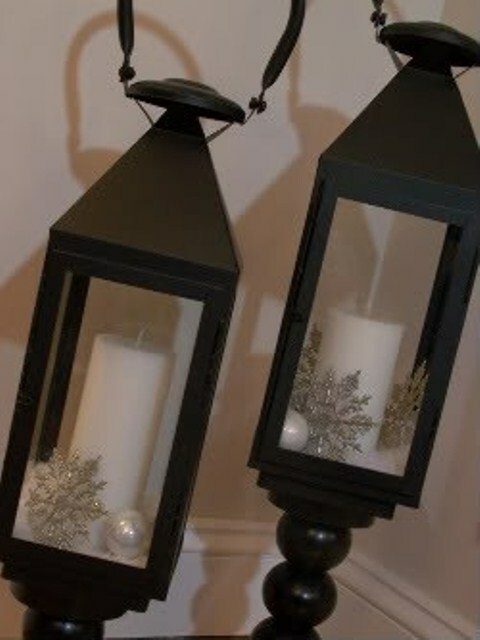 Don't like candles? 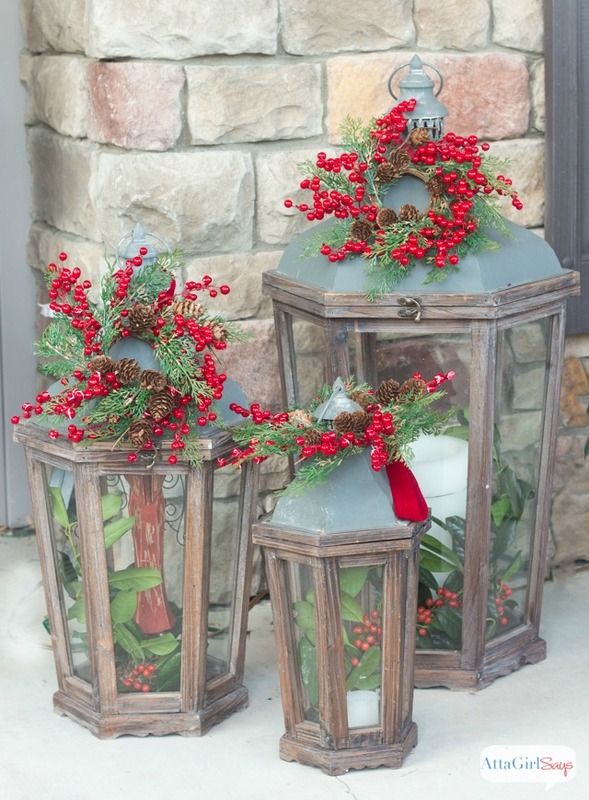 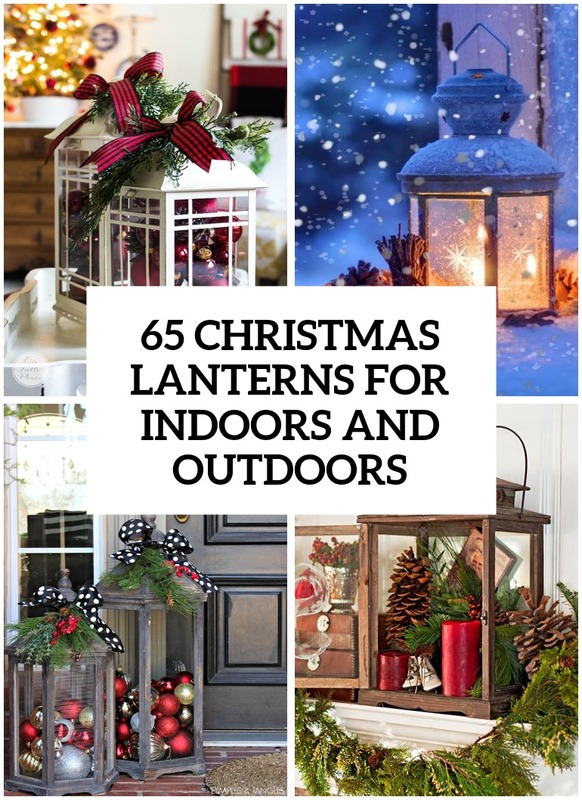 Stuff your lanterns with cranberries and evergreens! 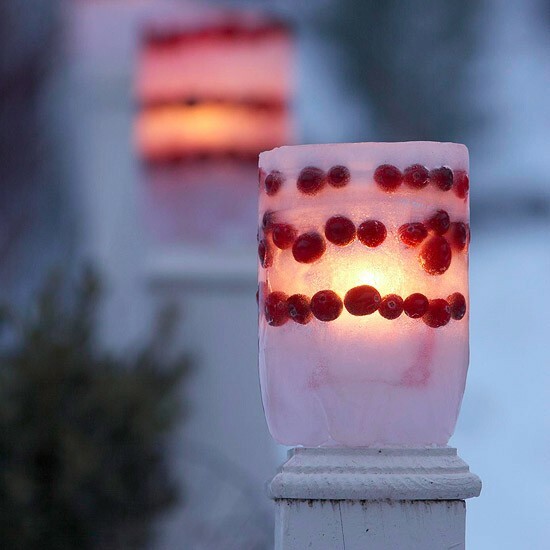 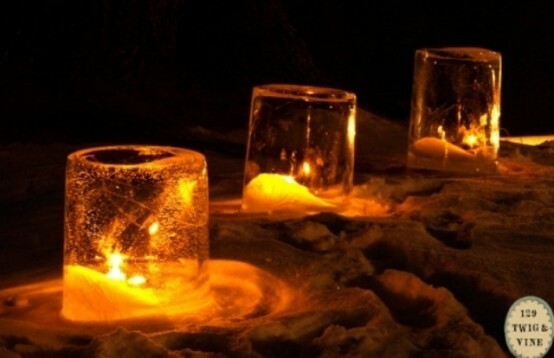 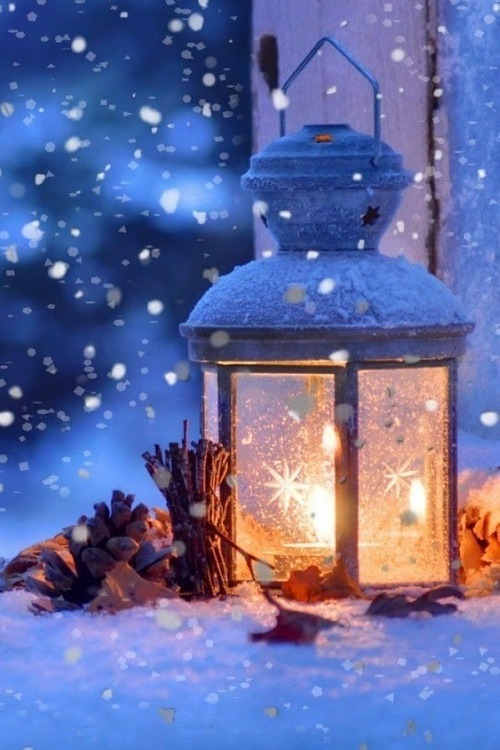 Frozen luminaries with little berries are perfect if you live in really cold region. 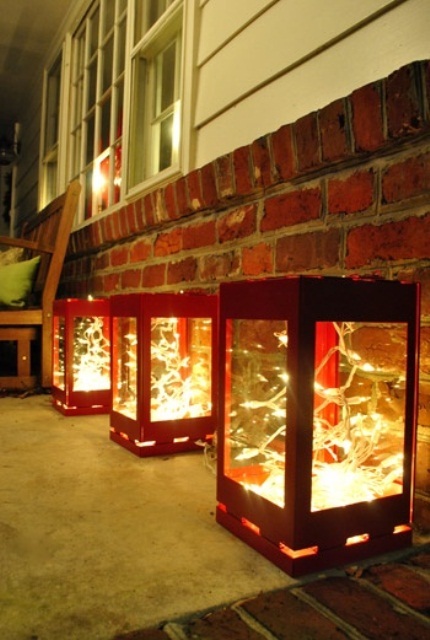 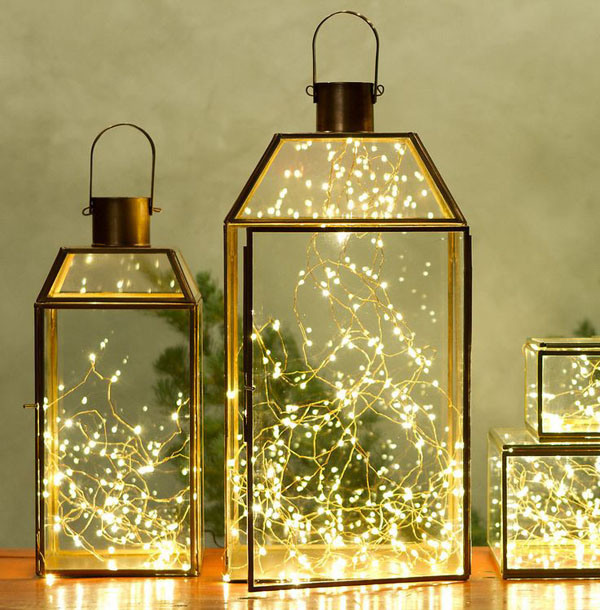 The cool thing about lanterns that you can put them on some surface or you can hang them.